Lourdes Rosary bracelets in Gold and Silver depicting the Apparition and Our Lady all direct from Lourdes. 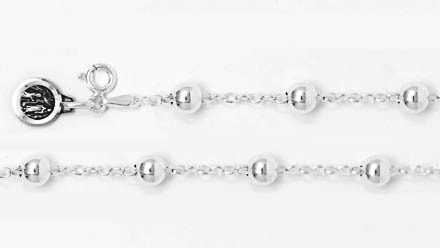 Sterling Silver Double Faced Lourdes Bracelet with Rhodium Plating. Sterling Silver Double Faced Apparition Bracelet with Rhodium Plating. 18 Carat Gold Plated Bracelet with a Miraculous Medal. 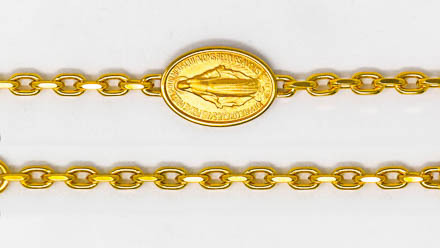 Gold Plated Bracelet with a Lourdes Apparition Medal. Swarovski Crystal Rosary Bracelet with Word Peace Pendant. 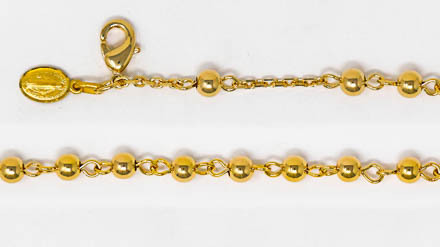 Gold Plated Bracelet with a Heart Lourdes Apparition Medal. 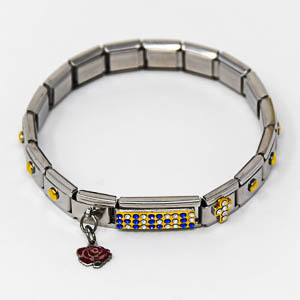 925 Lourdes Apparition Emblem Bracelet. Sterling Silver Apparition Bracelet with Rhodium Plating. Sterling Silver Miraculous Medal Bracelet with Rhodium Plating. 925 Silver Crystal Rosary Bracelet with Crucifix Pendant. 925 Sterling Silver Amethyst & Crystal Rosary Bracelet. 925 Blue Swarovski Crystal Rosary Bracelet Made in Italy. 925 Light Blue Swarovski Crystal Rosary Bracelet Made in Italy. 925 Black Swarovski Crystal Rosary Bracelet Made in Italy. 925 Swarovski Crystal Rosary Bracelet Made in Italy. 925 Pink Swarovski Crystal Rosary Bracelet Made in Italy. 925 Red Swarovski Crystal Rosary Bracelet Made in Italy. 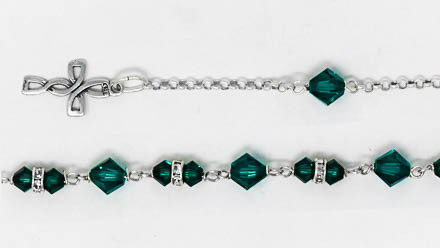 925 Green Swarovski Crystal Rosary Bracelet Made in Italy. Lourdes Sterling Silver Rosary Bracelet with an Apparition Pendant. 925 Lourdes Silver Rosary Bracelet with an Apparition Pendant. Miraculous Medal Sterling Silver Rosary Bracelet. 925 Rosary Bracelet with a Miraculous Medal Pendant. 18 Carat Gold Plated Rosary Bracelet with a Miraculous Medal Pendant. 18 Carat Gold Plated Rosary Bracelet with a Apparition Pendant. Sterling Silver All Saints Bracelet. Our Lady of Lourdes 18 Carat Gold Plated Bracelet. 925 Sterling Silver Cross Bracelet with CZ Stones. 18 Karat Gold Plated Cross Bracelet with CZ Stones. A Lourdes Creation, Gold Stretch Diamante Watch Bracelet. Lourdes Stretch Diamante Cross Watch Bracelet with Pendant.